You can learn just about anything from YouTube…if you’re willing to dig through millions of videos. Luckily, Course Hero has done the work for you, offering coherent classes by hosting collections of the best educational YouTube videos and other content. The newly launched courses section of the eduTech startup’s site now has classes in entrepreneurship, business plan development, and programming in a variety of languages. Meanwhile, Course Hero offers crowdsourced study guides, tutoring, and flashcards. 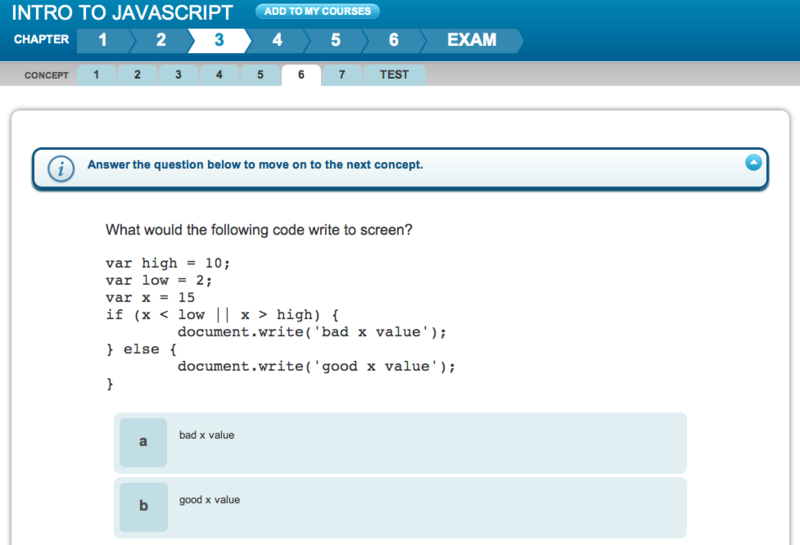 Khan Academy is great, but isn’t as scalable since it create the content itself. By drawing from YouTube and other openly available education, Course Hero plans to set up courses for anything it, or you, can think of. And if the pursuit of knowledge wasn’t enough, students who complete its Entrepreneurship path can enter a business plan competition whose winner will get to pitch to Course Hero investor Ron Conway / SV Angel. Rather than put you at the mercy of long-winded professors, Course Hero trims videos and articles down to their most important teachings. Along the way you’ll answer quiz questions, take tests to complete chapters, and face a final exam to finish a course and earn proficiency badges. That might sound like a lot of work, but you’ll really know the material when you’re done. You can also suggest or create your own courses. Course Hero’s CEO and co-founder Andrew Grauer tells me he wanted to find out “what would the Internet’s version of university look like?” He commends Stanford and MIT for putting offline learning online, and thinks Codecademy (which also crowdsources some of its programming tutorials) and Khan Academy are great at what they do. He actually hopes to get Khan videos integrated into courses. In general, though, Grauer thinks it’s too painful to find an efficient path through all this content so you can actually get a deep education in something. With many people questioning whether expensive traditional higher education is worth it, a free alternative for learning crucial career skills has big potential. Investors see that too. The 22-employee Course Hero has raised $2.38 million from friends and family plus a seed round with SV Angel, Maveron, and angels including founders and co-founders like StubHub’s Jeff Fluhr, YouTube’s Steven Chen, Beautylish’s Nils Johnson, Altius Education’s Paul Freedman, Military.com’s Christopher Michael, and Start-up Farms’ Mark Feldman, plus Andrew’s dad and former CEO of Barclays Global Investors Fred Grauer. Facebook’s Director of Ads Gokul Rajaram is the Chairman of Course Hero’s board. The startup has an innovative business model. Courses and flashcards are free, but the community-based tutoring Q&A and access to user generated study guides are premium. You can pay a steep $40 for a month, $95 for a year, or earn access by uploading 40 documents a month. There’s been some grumblings on the web about the price and quality of the study docs. It’s still a hell of a lot cheaper than paying for university, but I think Course Hero should reduce its rates to help it gain traction.